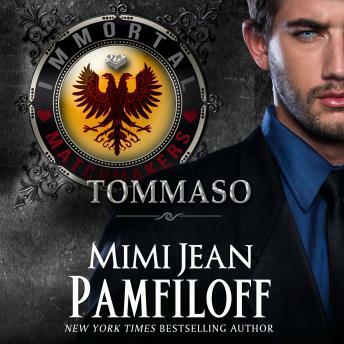 From New York Times Bestseller Mimi Jean Pamfiloff, Comes TOMMASO, a Paranormal Romantic Comedy and Book #2, of the Immortal Matchmakers, Inc. Series. Tommaso Fierro is used to the finer things in life--nice suits, nice car, nice house. Okay, his past isn't so nice, but that's in the past. Or at least it was until he blacked out after meeting the woman of his dreams. Annnd possibly capturing her. Annnd discovering that he's turning into a horrible creature he loathes with all his heart.